People who get wealthy and stay wealthy do so by not making these 5 common investment mistakes. The good news is they’re not rocket science, and we can all learn from them. Wealthy folks have always embraced the age-old investment precept of diversification. The modern world presents us with myriad opportunities to invest in varying geographic locations, intangible and tangible assets, listed or private companies, fine arts or collectable wines and much more besides. By investing in a broad spectrum of assets which all grow at different rates and stages, and in varying conditions, the wealthy are able to minimize risk across their investment portfolios. We don’t all have the good fortune and insight to invest directly in all of these options, but unit trusts make diversification accessible to the everyman. They allow a group of people to pool their investments into various asset classes as determined by the investment philosophy of the asset management company and the specific unit trust’s mandate. This is basically a fancy way of saying you have no excuse not to diversify! Rebalancing your investments is the process of readjusting the overall asset allocation in your portfolio to maintain your original investment objectives. It’s necessary to do periodically since investment values move over time, giving better-performing assets a higher weighting, and under-performing assets a lower weighting, than needed to meet your longer-term goals. Rebalancing usually entails buying and selling varying proportions of unit trusts and other assets. It protects your gains (since you sell higher-performing securities to lock in the gains) and helps you reap the full benefit of diversification. If you’ve invested in a portfolio of unit trusts, make it your business to remain in touch with your financial adviser about rebalancing your portfolio at least annually to ensure that you remain on track in achieving your goals. The wealthy aren’t gamblers and don’t entertain illusions of being able to ‘time the market’, by buying in before prices rise and then getting out before prices fall. While this tactic may conceivably work once, it’s bound to end in heartache in the long run. Even financial analysts and fund managers are unable to accurately predict these market shifts, since no two business cycles are the same. Prudential doesn’t claim to forecast better than others or to be able to time the market for superior returns. We persistently and consistently purchase assets that are undervalued by the market and sell them once they’ve reached a fair market value, and in doing so create wealth for unit trust holders. 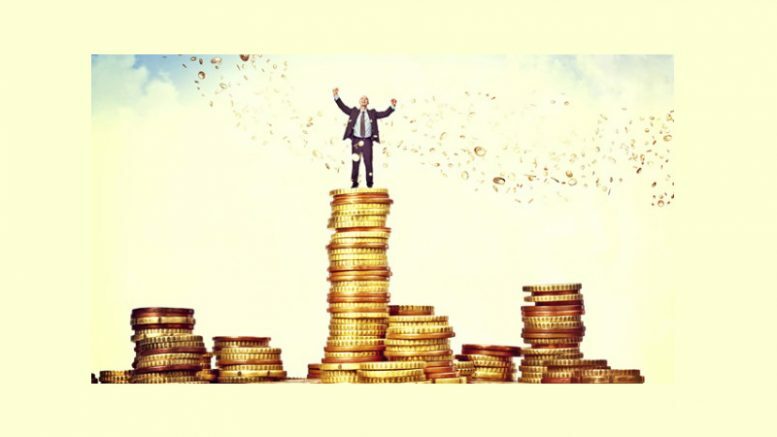 This topic is particularly relevant in present-day South Africa, as many investors are tempted to sell out of local equity-based unit trusts and invest in cash as it has outperformed local equity over the last couple of years. This can be seen as timing the market for a short-term return and is a sure way of losing out in the long term. The wealthy aren’t emotional about their investment choices, and they don’t bother to keep up with the Joneses. They embrace frugality as the new black, remain optimistic and invest spare money to compound their investment returns. The wealthy are happy when they’re in control of their money, and they use debt wisely. As a corollary to point #4, even if their portfolios lose substantial value in a market downturn, the wealthy don’t panic. This could be because they realise the losses are only temporary (as long as they don’t sell their investments), since over the longer term markets rebound and produce solid returns. Or it could be because they have a financial adviser to prevent them from panic selling and locking in the losses. In either case, they don’t make the mistake of selling low and buying high – which destroys wealth. This can be a common investment pitfall as ordinary investors are motivated by fear and greed. Hence the importance of having a long-term view and keeping your eye on the prize of reaching your investment goal within a realistic timeframe. It will never be an easy process, thanks to the vagaries of financial markets. The wealthy understand this. Although this is not a mistake the wealthy don’t make, generosity is an important part of the lessons we can learn from them. The wealthy are generous with their time and money. They take advantage of the donations tax exemption on the first R 100 000 in annual donations. The exemption is available to both spouses (should you be in a relationship) and is an effective estate planning technique which affords you the benefit of being able to give during your lifetime. Even more importantly, the wealthy give to their families by teaching and encouraging disciplined and consistent investment behaviour. Making money is one thing, but keeping it is an entirely different matter. By avoiding these five common investment pitfalls – year in and year out – your nest egg will grow, and your long-term financial outlook will surely be bright. Be the first to comment on "5 Mistakes the wealthy don’t make"